There is often a disconnect between convenient engineering and engineering for convenience. I was reminded of this on a trip to southwestern Florida recently, where missed opportunities decrease landscape desirability. 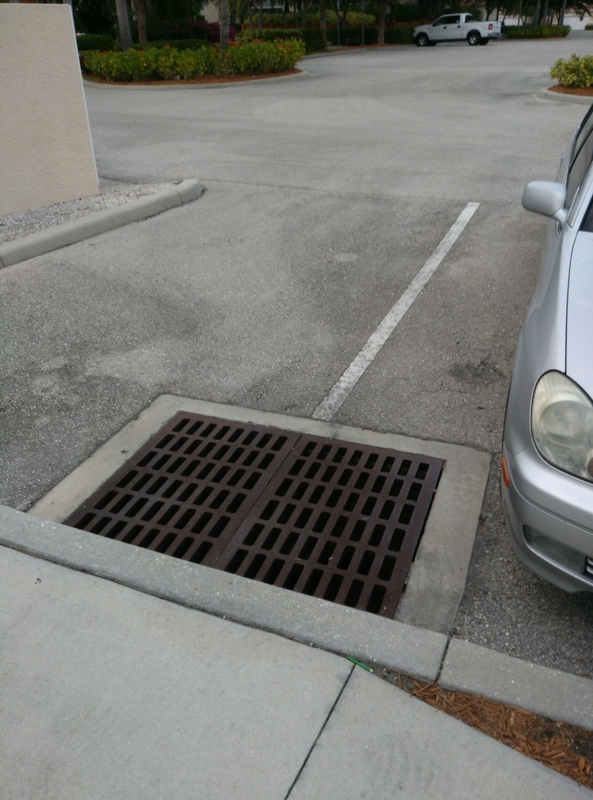 As a general best practice, it is considered good form to limit visibility of drainage facilities (ideally not placing them in areas of potentially high pedestrian traffic) as well as --in cases where walking over it is unavoidable-- designing the drainage aperture small enough that would prevent a person of accidentally dropping their phone or driving keys through the grate or twisting their ankle while walking over a huge hole while wearing high heels. In the above example, you would never find a landscape architect approve such a drain detail in a parking lot, monsoon rains not withstanding. 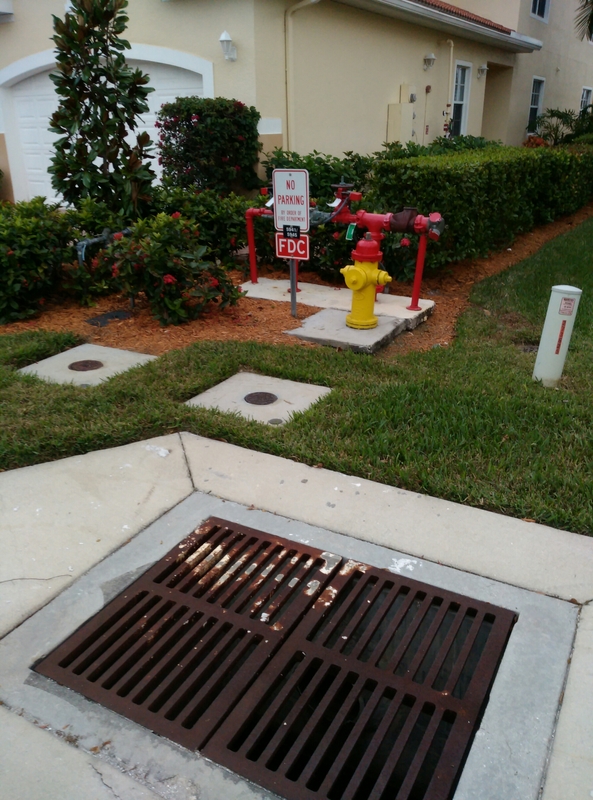 In this case we would have placed the drain in the middle of the driveway or inserted the drain into the curb with a sufficient grate to prevent litter and personal items from tumbling through sideways. Of course, such enormously huge catch basins are not the only ways to capture excess water. A bio swale or rain garden would have been a more appropriate aesthetic and environmental approach in a residential area, particularly considering that an overflow drain to an underground catch basin still could have been provided while remaining visual hidden from view. Furthermore, while it takes more work to engineer convenience, in the above example, the other utilities could have been provided with a planting cover (a double utility cover with a planting tray cover and city utility cover underneath ) or at the very least hidden by taller planting, or otherwise contained in a utility box covered or hidden by planting. In rare instances, there could be a "folly" put in play or a dressing up of these utilities that follows the theme of the landscape design. These would all be strategies that we would employ in China to hide away certain realities of life --electrical utility boxes, gas meters, water meters, AC units, water pumps-- that are very often in plain sight (for maintenance reasons, obviously) but not so visually exposed to a resident not interested in seeing such eyesores.